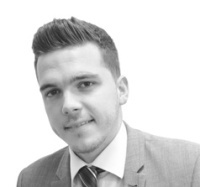 Alex joined Kings in 2014 and is our Tenancy Manager. He is very proactive in everything he does and always delivers service with a smile. He is highly experienced at dealing with all aspects of Property Management and strives to offer an excellent level of Customer Service. He provides day to day assistance in all aspects of lettings; from dealing with repair issues, carrying out periodic inspections and ensuring our landlords are compliant and up to date with all current lettings legislation. He also has over 10 year’s background knowledge of the area and lives in Tunbridge Wells. He has a warm and welcoming character and will always go the extra mile to keep clients and tenants happy.